My books are officially on tour! I have pasted the post below, and will be sharing blog posts with you for the next few weeks. Please like and share. I would really appreciate it! She dropped the darning in her lap. Her sister called her name again, this time with more urgency. Springing from the rocker, Anna ran from the room and scurried down the wooden staircase. “Who is it?” Anna asked, but her younger sister was already racing from the house with a lantern in her hand. Anna followed her out the back door, lifted her ankle-length skirt, and hurried across the dark barnyard. She entered the warm, musty building. The lantern’s glow illuminated the barn’s interior. A saddled, spotted steed stood nearby, its eyes an eerie, glowing, brownish-green. The horse snorted and stomped. Something in the corner moaned. Anna’s heart skipped a beat. Stifling a scream, she clamped her hand over her mouth to suffocate the sound. “He’s over there,” Maggie said and pointed at a heap in the corner. Anna squinted in the dim, flickering light. She cautiously made her way over. Her sisters and Claudia, the little girl they were in charge of, followed so closely behind they all seemed to be attached. “Who is he, Anna?” Abigail asked. “I don’t know,” she replied. “But he’s bleeding.” Anna drew closer. The stranger’s horse snorted threateningly, but allowed her to advance. The girls stood frozen, looking down at their quandary. Anna glared at her, forcing Maggie to give in under her stare and pull him up. Anna reached around his other side. The soldier cried out in pain. Balancing the young man between them, they made their way out of the barn and past the sentry steed. Staggering toward the house in the dark, Anna and Maggie dragged the weak man across the barnyard toward the house. Two dogs, one a black-and-white sheepdog, the other a sable collie, approached to sniff at the stranger. The dogs scurried off into the dark. “Upstairs to Father’s bedchamber,” Anna replied. Maggie’s eyes widened, but she complied. The sisters made their way through the kitchen and struggled to hoist the man up the long wooden flight of stairs. Abigail and Claudia ran into the kitchen and followed the others upstairs. At the top, Anna opened a bedroom door. Its hinges squeaked loudly. They led the wounded stranger over to the four-poster bed. Carefully, they eased him down, lifted his legs, and gently swung him up onto it. The young man moaned in agony. “He’s too long for the bed,” Claudia commented. Anna noticed his feet hung over the end. She quickly turned to light a kerosene lamp on the bedside table while Maggie pulled the windows open to let out the hot, stale air. Flickering lamplight illuminated the soldier’s condition. The front of his shirt and his right trouser leg were soaked with blood. Anna’s heart clenched. Claudia giggled at the sound of her friend’s voice. The two girls scampered off downstairs. Their feet thumped like sticks on a snare drum. “Maggie, help me remove these filthy clothes from him,” Anna said. “Yes.” Anna was reminded of how she had tended to their ailing father not so very long ago. The recollection made her shudder. Both sisters gingerly lifted him. They pulled off his shirt, boots, socks, and belt. Anna noticed the letters “CSA” embossed on his belt buckle. The girls exchanged cautionary glances. They carefully set his gun and holster on the floor and removed his trousers, but left him with his drawers for modesty’s sake. Anna passed the limp, frail soldier to her sister, and thought he felt like an oblong sack of potatoes. He fell back onto the bed and moaned again. Maggie winced but did as she was told. Looking down at the failing soldier, Anna summoned her strength. It was all too sudden and overwhelming, but she had to be strong—for herself and her sisters. “You’re going to be all right, sir,” she comforted him. The soldier opened his eyes and tried to speak. She understood he was asking for water. Claudia returned with the supplies. Anna took them from her and laid them on top of the dresser. She poured the pitcher’s cold well-water into the glass and porcelain bowl. After dipping a towel into the bowl, she placed it across the suffering soldier’s brow and helped him take a sip of water. He faintly smiled at her. J.D.R. Hawkins is an award-winning author who has written for newspapers, magazines, newsletters, e-zines, and blogs. She is one of a few female Civil War authors, uniquely describing the front lines from a Confederate perspective. Her Renegade Series includes A Beautiful Glittering Lie, A Beckoning Hellfire, and A Rebel Among Us. All three novels are award winners, and tell the story of a family from north Alabama who experience immeasurable pain when their lives are dramatically changed by the war. Ms. Hawkins is a member of the United Daughters of the Confederacy, the International Women’s Writing Guild, Rocky Mountain Fiction Writers, and Pikes Peak Writers. She is also an artist and singer/songwriter. Ms. Hawkins is currently working on a nonfiction book about the War Between the States, as well as another sequel to her series. According to Google, today would have been Louisa May Alcott’s 184th birthday (check out the cute picture). For those of you who don’t know who she was, Louisa May Alcott served as a nurse in a Union hospital in Georgetown during the Civil War for several weeks in 1862-1863. Her experiences inspired her to write “Hospital Sketches,” which was published in 1863. Later on, she would write the classic Little Women (1868), which took place during the Civil War. The story revolved around the lives of four sisters after their father left to serve in the Union Army, and was based on Louisa’s childhood. Other than Louisa May Alcott, the Civil War era produced many other great writers, including Walt Whitman, Ralph Waldo Emerson, Mark Twain, and Nathaniel Hawthorne. Of course, the war produced numerous war heroes, but it also effected the population so profoundly that many authors, artists, musicians, medics, and thespians would go on to relive the war through their creations. It’s easy to forget today how such a terrible war impacted the lives of our ancestors. Kids who grew up during the war went on to recreate what their father’s had told them about their experiences. Early movies and television depicted the war, including famous vaudevillian acts. Shirley Temple, the Three Stooges, and John Wayne all recreated the Civil War in their movies. One of my favorite songs, “I’m a Good Ole Rebel,” was written after the war, and expressed the angst felt by a Southerner who refused to be reconstructed. The list goes on and on. Share your favorite Civil War celebrity or creation that was a product of the Civil War. Let’s see how many we can come up with! “Hospital Sketches” is mentioned in my new novel, A Rebel Among Us. I would like to wish each and every one of you a very blessed, peaceful Thanksgiving full of fun, family, friends, and frolic. Mine will be spent with my oldest son, daughter-in-law, her family, and our grandson. This is a very special treat for my husband and me, since we haven’t spent Thanksgiving with them in nine years. I’m really thrilled to be back in Colorado with our family and friends. And in the not so distant future, it will be Black Friday. My publisher, Foundations, LLC, is holding a special online sales event. All you have to do is go to the link below and you will be at the sale! My new novel, A Rebel Among Us, will be selling for 50% off on paperbacks, and you can request to get them signed as well. E-books will be only $1.00. Now is your chance to stock up for Christmas! Thanks again for reading my blog. I hope you have a very safe and happy Turkey Day! This is NOT Conserving History! What!? How atrocious is this? Now they want to rewrite history to fit into their distorted politically correct agenda. When will it ever end? Replace the existing Court Square Slave Auction Block marker and commission a new memorial on or near Court Square in downtown Charlottesville. Support conservation of the Daughters of Zion Cemetery and the Bridge Builders Committee’s work to improve the visibility and appearance of the Drewary J. Brown Memorial Bridge. Provide financial assistance for the proposed Vinegar Hill Park and Vinegar Hill Monument, as well as funding for historic resource surveys of African-American, Native American and local neighborhoods and sites. Sponsor local history research by local institutions, such as the Jefferson School African American Heritage Center and Albemarle-Charlottesville Historical Society. Find opportunities to name new roads, bridges and other locations after ideas and people who represent the city but reject building new monuments to individuals. Urge the city to participate in the Equal Justice Initiative’s Memorial to Peace and Justice by displaying a memorial marking the lynching of John Henry James to “confront the truth and terror of white supremacy in the Jim Crow era. Encourage and support the teaching the history of slavery and impact of racism in African-American and Native American history classes for local public schools. A small group has already protested the Commission’s recommendation to keep the statues in the parks. 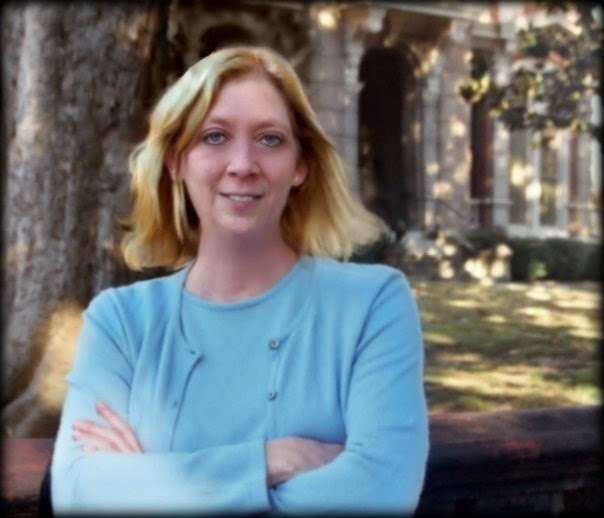 One of the leaders in the movement to removed the statues is University of Virginia professor Jalane Schmidt, who wants the statues to be replaced with statues of slaves. “The Confederate statues need to be moved so that history can be publicly retold and physically represented so that we can change our history’s narrative around race,” Schmidt said. Hopefully, she won’t get her way. What a tragedy it would be if she did! I love some people’s tenacity! In the following article, a sixteen-year-old from Illinois stood his ground last week, and I think that’s wonderful! More people should be as brave as he is in defending his rights and opinions. Here is the article. Let me know what you think. When 16-year-old Hunter Bloom brought a Confederate flag to Prairie Ridge High School in Crystal Lake, Illinois on Tuesday for a history class project, he wore the flag tied around his neck for the rest of the day. Hunter was asked to leave school Wednesday when he wore the flag again, he and his father Kevin Bloom said, and was told he would be suspended for a longer period of time if he wore it Thursday. The class project was called “my vision,” Hunter said, and while he spoke to the class on his views on the Confederate flag and the meaning behind its colors and symbols, other students presented on topics such as gun control and abortion. Enter the giveaway by clicking on the link below! I am honored to have two of my books, A Beautiful Glittering Lie and A Rebel Among Us, featured today on Stephanie’s Book Spotlight. When A Beautiful Glittering Lie first came out, it was selected as a B.R.A.G. Medallion winner. This award goes to the best independently published books. 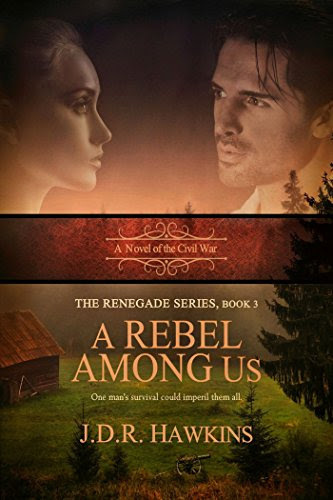 Now with the publication of my new novel, A Rebel Among Us, Stephanie has offered to feature this book as well on her blog. Please be so kind as to check it out! Also, this Saturday, my publisher will be holding a special book launch party for me on Facebook. Here is the link. Hope to see you there! Election Day is now upon us. It goes without saying that this has been an unusual election year. First, a woman is running for president, and she was previously a First Lady. Second, a business tycoon is running for president. He has no political experience but says he is running “to make America great again.” Both candidates have expressed their concern over rising health care costs, immigration policies, college loans, and foreign policy. Both have unique plans for the country, and so far, the vote is tied. It will be interesting to see the outcome and how the American people react and unite afterward. Over the course of the country’s history, many unusual elections have taken place. The musical Hamilton has brought to light the bizarre duel in 1801 between Thomas Jefferson’s vice-president, Aaron Burr, and Alexander Hamilton, who died in the duel. The conflict was brought about when Hamilton decided who would be president: Jefferson or Burr. When Abraham Lincoln was elected in 1860, he represented the very first candidate of the Republican Party. Lincoln did not win in any southern state, and yet, he won 40% of the popular vote and most of the electoral vote. Prior to his inauguration, he was ushered into Washington D.C. (then known as Washington City) via train, under cover of night, and in a disguise because death threats had been made against him. Lincoln’s election lead to the Civil War, which would ultimately claim more than 620,000 lives over the course of four years. In 1872, Victoria Woodhull became the first female presidential candidate. Her running mate was Frederick Douglas, an outspoken freed slave and abolitionist. Also in 1872, President Grant, previously General Ulysses S. Grant, who had led the Union army to victory, ran against newspaper mogul Horace Greeley. Oddly, Greeley died before the electoral votes could be dispersed. Grant attended his rival’s funeral. In 1884, Belva Lockwood ran under the Republican ticket. Her running mate was Marietta Stow, the first female vice-presidential candidate. Eugene Debs ran for president five times. In 1918, he delivered an anti-war speech, claiming “the ruling class” sent “the working class” to war. He was convicted of espionage and sentenced to ten years in prison, where he conducted his presidential campaign. He didn’t secure enough votes to beat out Warren G. Harding, but the following year, on Christmas Day, Harding commuted Debs’ sentence. In 1948, Harry S. Truman was predicted to lose to Thomas Dewey. This famous photograph was taken after Truman won the election. The first televised presidential debates took place in 1960 between John F. Kennedy and Richard Nixon. Kennedy secured the African-American vote when he helped free Martin Luther King Jr. from prison weeks before the election. The election of 1964 centered on race and the Civil Rights movement, and pitted Republican Barry Goldwater against Democrat Lyndon B. Johnson. The Democrats’ mudslinging campaign effectively portrayed Goldwater as a racist, which he staunchly denied. In 1972, Shirley Chisholm became the first major party black candidate for president, and the first woman to ever run for the Democratic Party’s presidential nomination. And in 2008, Barack Obama was elected as the first African American president. As you can see, America has had an illustrious and, at times, strange history of elections. Many of these examples occurred because of flaws in the electoral system. Unfortunately, for the American people, corruption is still rampant. Last week, my husband saw a woman stuffing an election box. Is Trump correct by saying the election is rigged, or is he paranoid? It will be fascinating to find out tomorrow and in the coming weeks. Told from alternating points of view, through a non-linear timeline, this is the story about first love, second chances and ALL the SIGNS THAT LEAD BACK TO YOU. Aniesha Brahma is an author who realized her passion for writing at the tender age of six. She also happens to be the social media manager for BEE Books. Her debut novel, The Secret Proposal (2012) was published by General Press and was followed by When Our Worlds Collide (2015) by the same. She blogs at: http://www.anieshabrahma.com and runs an online magazine, BUZZ Magazine (www.buzzmagazine.in). She can be contacted at: aniesha.brahma@gmail.com.